Display your best vintage while efficiently storing 24 wine bottles. This rack was designed to fill that extra space or as a stand-alone unit. 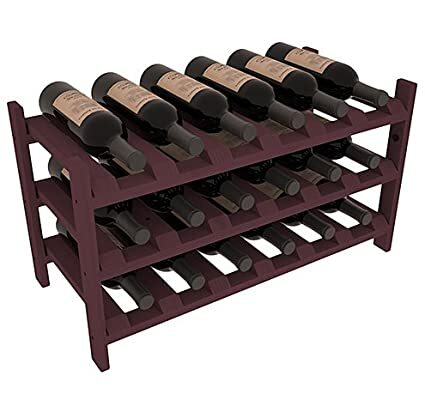 Our wine cellar kits are constructed to industry-leading standards. Display top wine racks are perfect for commercial or residential environments. Expansion to the next level! Stack these 18 bottle kits as high as the ceiling or place a single one on a counter top. 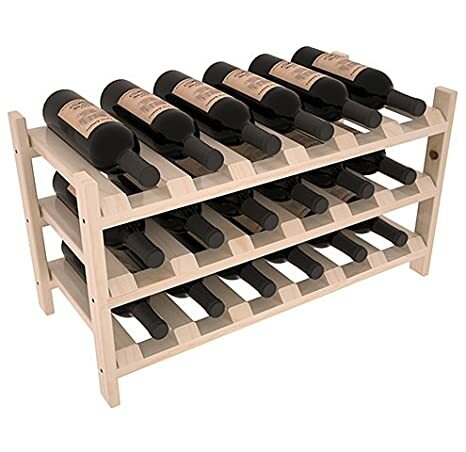 Designed with emphasis on function and flexibility, these DIY wine racks are perfect for young collections and expert connoisseurs. 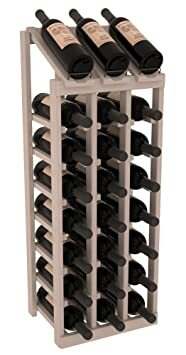 Petite but strong, this small wine rack is the best choice for converting tiny areas into big wine storage. The solid wood top excels as a table for wine accessories, small plants, or whatever benefits the location. 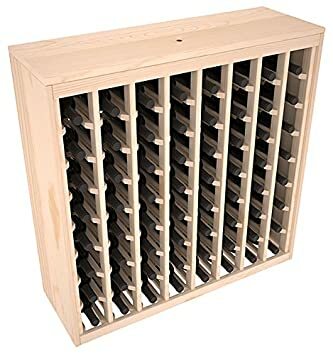 Store 2 cases of wine in a space smaller than most televisions! 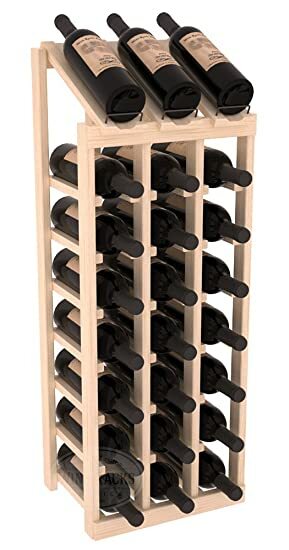 Styled to appear as wine rack furniture, this wooden wine rack will match existing decor while storing 64 bottles of wine. 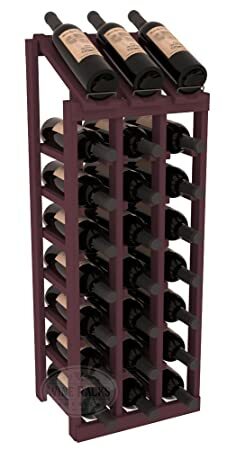 Designed to look like a freestanding wine cabinet, the solid top and sides promote the cool and dark storage area necessary for aging wine properly. Your satisfaction and our racks are guaranteed. 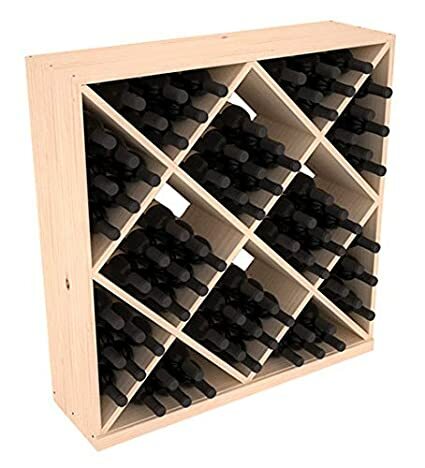 Elegant diamond bin style bottle openings make for simple loading of your favorite wines. 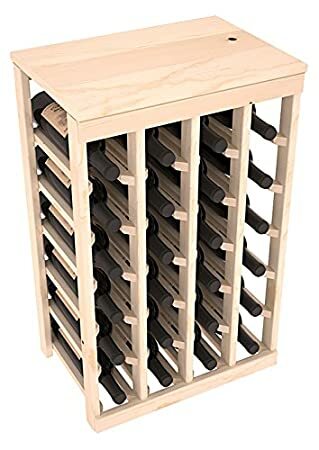 This solid wooden wine cube is a perfect alternative to column-style racking kits. Double your storage capacity with back-to-back units without requiring more access area. We build this rack to our industry leading standards and your satisfaction is guaranteed. WRA3640-S0G0 Wine Racks America Ponderosa Pine 64 Bottle Deluxe. 13 Stains to Choose From!